I will be living in a beautiful historic home in either the Edgefield or Lockeland Springs neighborhood of East Nashville. It will be modest in size, yet loaded with charm. I’ll be laying in a queen size bed next to my beautiful wife. Our two children come running in at 7 AM and startle us both awake. The family then goes downstairs to find a fireplace with a Christmas tree not too far off. There is a train-set assembled and ready to go, circling the tree and the modest number of presents below it. After a time of honest and thankful prayer, we exchange gifts. The rest of the day is spent telling stories by the fire, preparing Christmas dinner, and enjoying the company of friends and family. As an exercise, I asked my readers to do the same. I chose Christmas for this exercise because we’re in the season, it’s only a few weeks away, and most people have already been thinking ahead to the holiday. When we take the time to define a solid vision for our lives, we begin to perform the actions needed in order to achieve that vision. I want to live in that beautiful home, so I need to develop a successful business that leads me to that purchase. I’m going to be laying in a bed next to my wife and get woken up by our children, so I need to find a wife and have some kids. If I want my children to enjoy the extra touches like a train-set by the Christmas tree, I need to be the kind of father who goes the extra mile and puts in the extra effort to bless his children. If I want Christmas day to be about family and togetherness, I need to be the spiritual leader that teaches my family to value those things above all of the material aspects of the season. There is real power in this sort of focus. We start to take the actions that lead to our intended results. We begin to hold our activities accountable to our vision. We cease to drift through life and we start to live with a sense of purpose. Take the next step and cast that vision. Tell your spouse. Tell your friends. Write your hopes and dreams down on a piece of paper. Take pictures and put them on a cork-board (that’s what I do.) Just make sure you do it and hold yourself accountable to that vision. have written and published at least one book. speak regularly at conferences,seminars, and workshops. have completed my Masters of Divinity degree program. have saved enough money to fund my ministry. * Specifically, meeting with and training business leaders to build lives and businesses that honor God and serve the community. I’ve intentionally left some details out for the sake of brevity, but the more detailed you can be, the better. I would be remiss if I did not clearly state that both your plans and mine are ultimately at the mercy of God’s will. I have sought the Spirit of God and His wisdom and believe this to be the direction He wants for me. If I’m wrong, I’ll find out in due time, but I still need to pursue the vision that I’ve cast here. So now its your turn. What does your vision look like? 3. Have 2.5 kids. Basically, 2 kids with the possibility of a third. 4. DontSettle.org in over 25 countries (1,000+ active readers per month in each). We're already in 48 but not at those volumes. There's more. I like to put numbers on things so I can track my progress. All of these have some sort of numerical measurement in my docs even if not mentioned here. Thanks so much for sharing Travis. I've attached a lot of numbers to my goals as well, but I didn't want to get into the nitty gritty for this post. Thanks again for sharing, Travis. Can't wait to see you knock those goals out of the park. 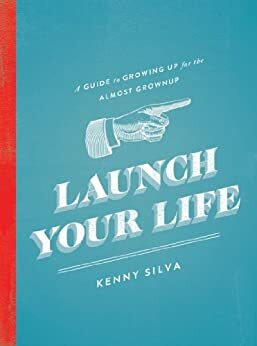 Really enjoy reading Kenny, thank you so much for the kick in the pants. My life has been in turmoil for the last couple years, but God is starting to lead us forward. I have a new outlook, new vision, new reasons to live. I want to serve people, make a difference….time to stop being consumed with self. I'm so glad to see the story that God is writing with your life, Chuck. Keep the faith and walk it out, brother. He'll do amazing things when we just let Him.